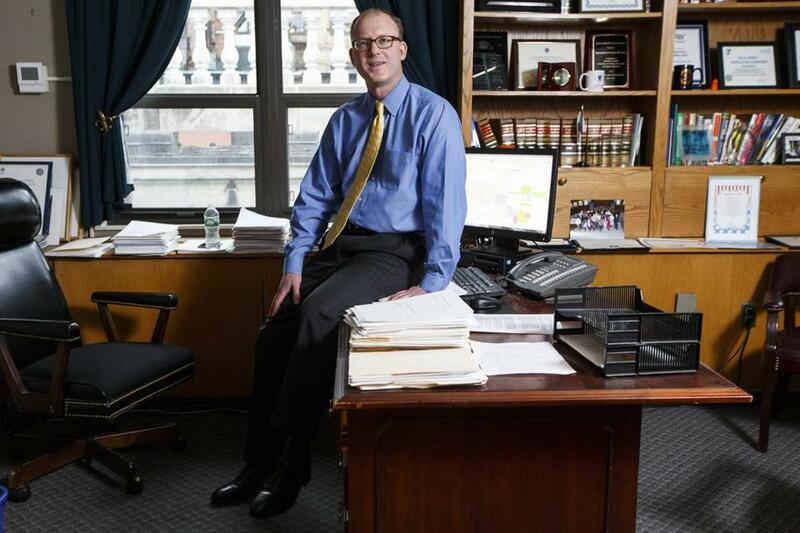 Massachusetts State Senator Jason Lewis. Massachusetts lawmakers appear increasingly likely to raise the minimum legal age for sale of tobacco to 21, a move that would make the state just the third in the nation to enact that requirement statewide. The tobacco measure could be included in the overhaul of Massachusetts’ marijuana legalization law that state lawmakers expect to pass by the end of June. Doing so would harmonize the legal age for three drugs: alcohol, marijuana, and tobacco. And it would level the playing field because more than 140 towns and cities, including Boston and Worcester, have already raised the tobacco sales age to 21. Other municipalities allow sales at age 18. If passed, the change would mean that young adults across Massachusetts who can legally serve in the military, drive, and vote would not be able to legally buy a pack of cigarettes at the local convenience store. 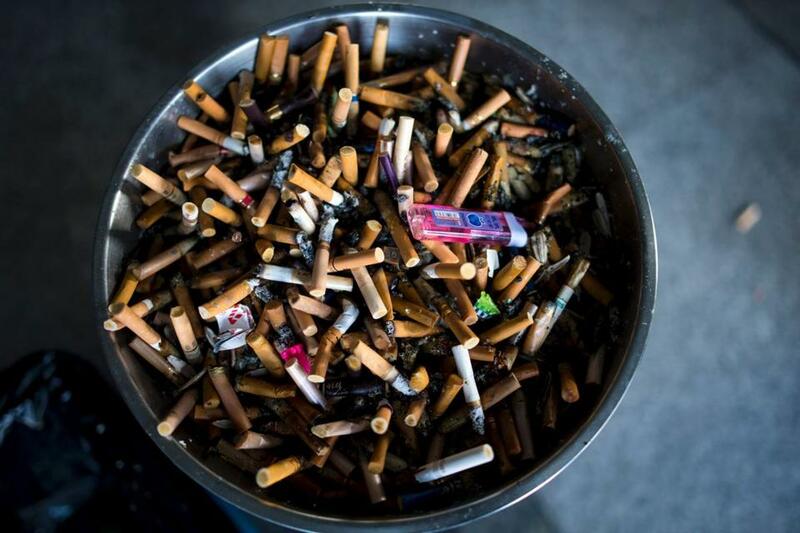 Health advocates say raising the age will help curb addiction to tobacco. But major monied interests, including tobacco juggernaut Altria Group Inc., want to maintain the status quo. To date, only Hawaii and California have raised the tobacco sales age statewide. The Massachusetts Senate passed a bill raising the age last year, but it languished in the House of Representatives, despite support for the idea from Speaker Robert A. DeLeo and Governor Charlie Baker. But one top 2016 opponent, the 4,000-business-strong Retailers Association of Massachusetts, is no longer actively opposing the push. And, in statements this week, Baker, DeLeo, and Senate President Stanley C. Rosenberg all backed the concept of raising the legal sales age for tobacco to 21, but did not take a stance on whether that move should be tied to changes to the marijuana legalization law. Senator Jason M. Lewis, the Senate chairman of the Joint Committee on Public Health and a vice chairman of the Legislature’s marijuana committee, said linking the two is common sense. “The message will be a lot clearer and a lot more effective for our teens if you have all of these substances having a minimum legal sales age of 21,” he said in an interview. Lewis said his bill raising the tobacco sales age would grandfather in legal users at the time of passage, so no 18-year-old who could buy tobacco products now would lose that ability. He also emphasized that his legislative push to raise the tobacco age includes hiking the minimum sales age for electronic cigarettes, in which users inhale an aerosol made from heated liquid nicotine, to 21. “We don’t want to see teens taking up vaping,” Lewis said. His bill would also add vaping to the state’s smoke-free workplace law. That would mean wherever state law says you can’t smoke cigarettes — restaurants, supermarkets, workplaces, etc. — you could not use an electronic cigarette either. Lewis, a Winchester Democrat, hopes the provision to raise the age for e-cigarette sales will be included in the wide-ranging marijuana legislation, too. The Legislature is considering a wide array of changes to the cannabis legalization law that was backed by 1.8 million voters in November. For example, lawmakers may change who is in charge of regulating the new recreational industry and may give more power to cities and towns to outlaw local shops. That bill is expected to be passed by the end of June, and retail pot shops to open by July 2018. Advocates for the legalization ballot question are vociferously opposed to lawmakers tinkering with the law. But they don’t have a stance on Lewis’s effort to raise the sales age for tobacco and vaping, according to spokesman Jim Borghesani. Representative Paul McMurtry, a Democrat of Dedham and a sponsor of a House bill to raise the tobacco age, said the timing is ripe for the change. “I think Massachusetts is ready for it and the citizens support it, smokers and nonsmokers alike,” he said. Ninety-five percent of all smokers start before they are 21, and getting kids to the point where they’re adults without becoming addicted is a huge boon to public health, said Kevin O’Flaherty of the national Campaign for Tobacco-Free Kids, who met with legislators at the State House to push the effort last month. But other groups say the law should remain unchanged. Matthew LeLacheur, a leader of the New England Service Station & Automotive Repair Association, argued that “the vast majority of youth are getting their tobacco products from social sources not retailers.” His group represents businesses that sell cigarettes. But one of the biggest opponents of last year’s effort to raise the sales age for tobacco isn’t an active opponent anymore. Jon B. Hurst, president of the Retailers Association of Massachusetts, said his group was previously opposed to the effort to raise the tobacco sales age. But, now, with so many communities — including the state’s largest — already there, the association is hurtling toward neutrality on the issue. Tobacco use at any age isn’t generally prohibited; rather state law limits sales of tobacco products to people 18 or older. And it would not be the first time legislators have seen fit to raise the legal sales age for tobacco sales. In 1886, the Legislature prohibited the sale of tobacco to kids under 16. At the beginning of the 20th century, the law was changed to prohibit the sale of cigarettes to those under 18, and the sale of other tobacco products like snuff to those under 16. And in 1985, the Legislature made the minimum legal sales age for all tobacco products 18.